The U.S. House of Representatives on Thursday voted 347-70 to pass the VA Mission Act (S. 2372). Our Sisters and Brothers at NFFE-IAM worked very hard to block this bill, or at least mitigate its damage to veteran care. Unfortunately, none of our seven changes to the bill were accepted. The VA Mission Act now goes to the Senate. The VA Mission Act is a giant step toward dismantling the world-class VA health care system by allowing virtually unfettered access to private sector providers. That would mean large-scale privatization and the elimination of union jobs. One provision in the bill would establish a Base Realignment and Closure (BRAC)-style commission to begin shutting down VA facilities around the country. 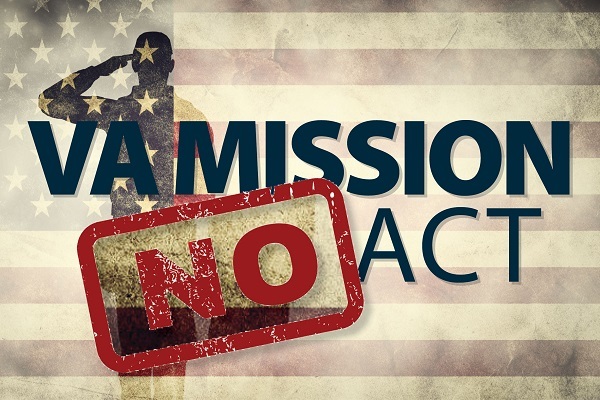 TAKE ACTION: Call both of your Senators NOW at 833-480-1637 and tell them to vote NO on the VA Mission Act (S. 2372). Every dollar spent on privatized care deprives our veterans of the specialized care offered at the VA. This bill would go even further and close VA facilities our veterans count on. Please ask your Senators to vote NO on the VA Mission Act (S. 2372). Once you hang up, please call 833-480-1637 again to speak with your other Senator’s office. The expectation is that this will come to a vote in the US Senate early next week– likely by Tuesday.